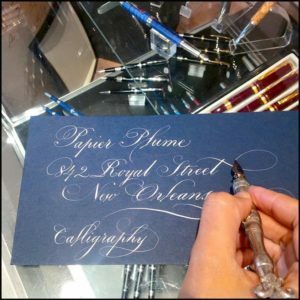 Located on a bright and airy corner, at 842 Royal St., in the beautiful and historic French Quarter, Papier Plume has been called a writers dream store. Spending time in this shop can’t help but remind us of the art and beauty of writing by hand and creating something timeless. If you’ve never used a fountain pen, you can try one here, and feel like Dickens for a minute or two. 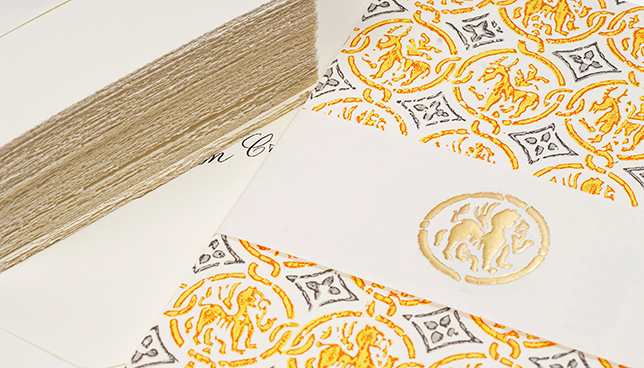 The use of seals on letters and documents can be traced back to the Old Testament and Papier Plume’s owner and staff will be happy to teach you that art. They stock an array of Italian made seals and a large assortment of richly colored waxes. Many of their products are handcrafted in Europe and imported to them in the United States. If you are a lover of Italian-made goods, Papier Plume has an abundance of them; gorgeous writing papers, elegant pens, leather trimmed journals with handmade paper, and leather mini notebooks. Rideau, who has an engineering background, began selling handmade cards while still in (Niort) France. When he came to the US,” I started selling my cards at Renaissance Festivals and then in 2001, at the French Market in New Orleans”, where he added sealing waxes and calligraphy supplies. 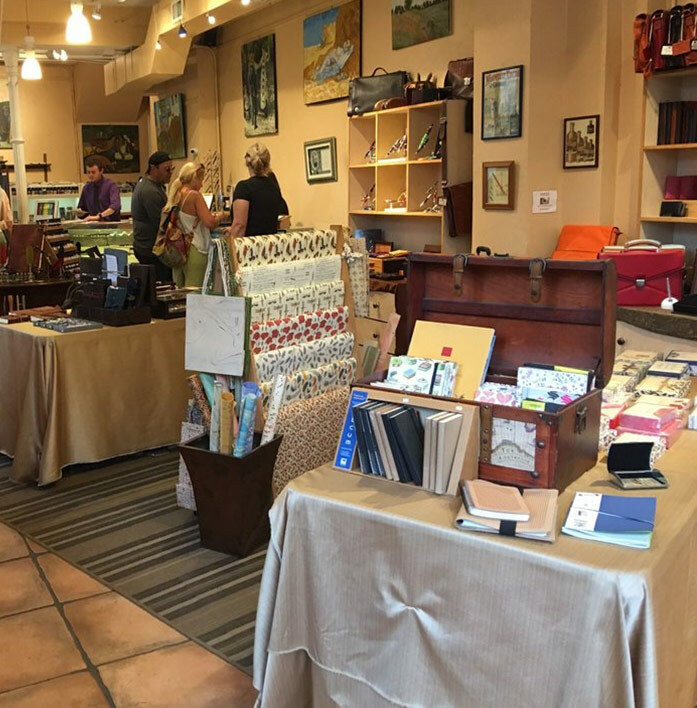 In 2007, he felt it was a good time to put up his own permanent retail space and opened the shop at 842 Royal Street in a building considered a historical landmark…adding to the charm of the space. 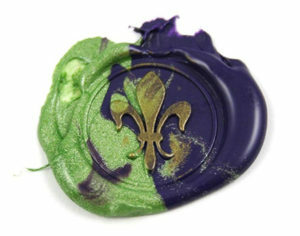 And of the Rossi products, “the Fleur de Lys design and the initial cards are the bestsellers. The Fleur-de-Lys (Lily Flower) is not only the official symbol of the city of Florence, Italy, it is strongly associated with the city of New Orleans. It graces everything from our flag to the logo of our football team, the New Orleans Saints”. The company has even introduced its own line of New Orleans-themed inks recently. Names such as Mardi Gras Indians Purple, Street Car Green and Sazerac—an orange color recalling the famous cocktail purportedly invented in New Orleans. One of the newest private label inks: Red Beans and Rice. A true New Orleans staple. So, a little bit of France, a lot of Italy, in the amazing city of New Orleans… what’s not to love! What a wonderful shop and post!